At the end of Haiti Solidarity Week (January 24, 2014) the following prayer was offered on the Public Address system for the school community. 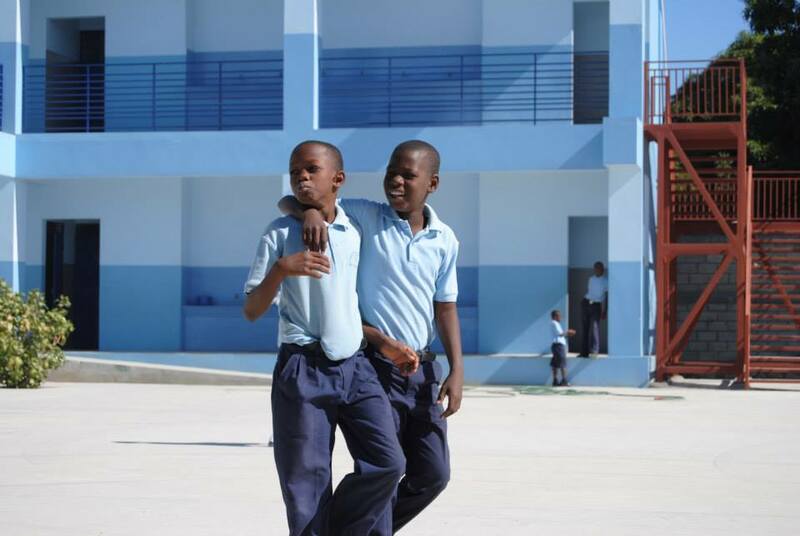 Let us remember that we are in the holy presence of G-d.
Last June I traveled with a group of Lasallian educators from our district of Eastern North America to Port-Au-Prince, Haiti to visit our new Lasallian school. I consider myself very fortunate in my life to have had the opportunity to travel extensively, both here in the U.S. and internationally in the developed and developing worlds. I speak before you today humbled and deeply troubled by my time in Haiti. Not solely because of the devastating earthquake, but more so, because of the pervasive and overwhelming hopelessness that lies underneath the ruins of the quake and has its roots in the European colonization of this tropical island for sugar, spices, and other minerals and resources and the legacy of the slave system-driven production. To be truthful I spent the first two days wondering how I could sell off all the United Nations Land Rovers driving around in circles to instead buy trash trucks so Haitians can have basic trash service. The problems seemed so big, all I wanted to do was leave. 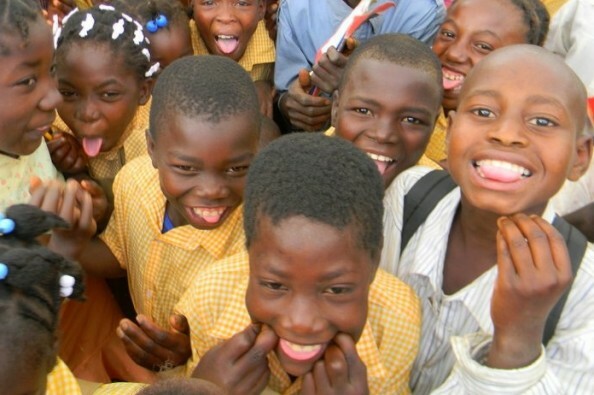 My attitude began to soften on the third day when I asked Brother Nicholai what is going to happen to all of the students when they graduate and have to face the brutal challenges of survival in Haiti and if he gets depressed thinking about that. He looked at me, put his arm on my shoulder and told me that every kid that walks through the school’s doors is treated with dignity and respect, given self worth and leaves knowing that they will always be safe in our school. And not that this is the best that we can do, but what we are simply here to do. 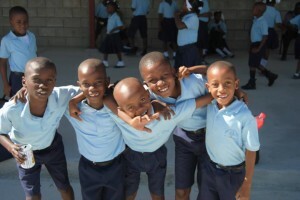 I hope that the video you watch now in your home rooms of the various delegation trips our district has taken to Haiti over the last two years is evidence of the spirit of the brothers and sisters in Haiti, the work they are doing to bring value to children’s lives, and the role that we can play to help their work flourish and prosper. On Friday, 31 January 2014, La Salle Academy celebrated the end of Catholic Schools Week with a Dress-down Day and collection for our brother school in Haiti. 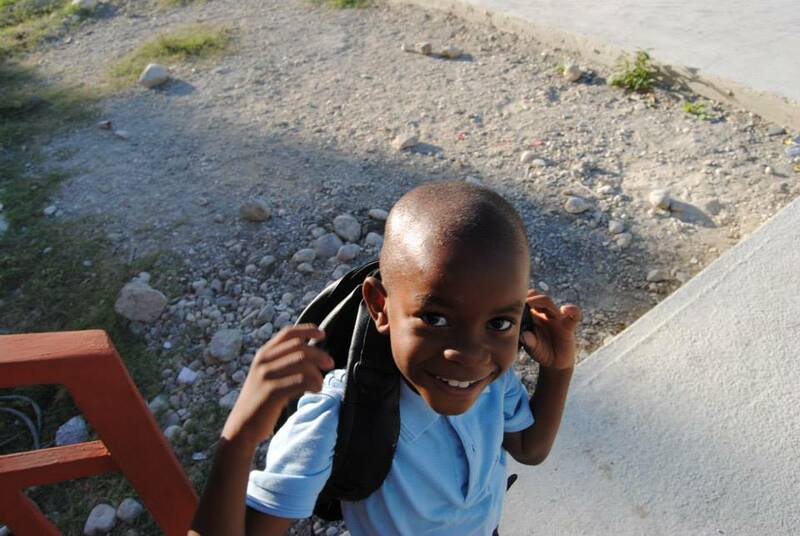 The goal was set at $11,000.00–enough to pay for the tuition of and to supply uniforms and school supplies for 40 Haitian students at our brother school, St. John Baptist de La Salle School, in Port-au-Prince. Due to the extraordinary generosity of students and their families, faculty and staff, the school collected $11,059.00–surpassing its goal. This is what “Enter to Learn–Leave to Serve” really means!! Special thanks on behalf of the St. John Baptist de La Salle School and the District of Eastern North America. 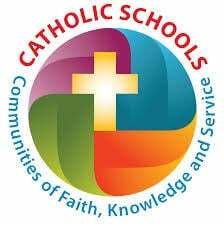 This was the final prayer during Catholic Schools Week–a prayer offered on the Public Address system on the morning of Friday, 31 January. Slogans, mottos, themes… they aren’t really things we think about on a regular basis, yet this week we have been hearing in prayer about La Salle’s motto, our theme. “Enter to learn, leave to serve.” We live this every day. We come to school to learn. But at the end of the day, when we leave La Salle, it is what we do outside of the walls of the building that stays with us and that impacts others. During the past few summers, a few students have realized what it really means, during the Lasallian Youth Summer Assemblies. For a week during the summer, students from Lasallian schools all over the northeast gather to learn from one another and to serve others. Two years ago, the Assembly was held in Buffalo, New York. 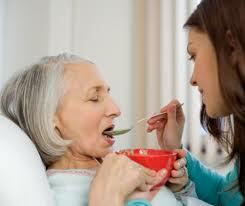 Each day groups went out into the community to places like soup kitchens and nursing homes. The drive to one particular soup kitchen was scary. The houses along the way were all foreclosed, and the line outside the soup kitchen formed at 9 in the morning even though lunch was not served until noon. One person really stood out in particular. This man would come in every day, eat lunch with his two kids, share his joy and big smile with the volunteers, and then leave. One day as the van carrying the volunteers pulled up, the man could be seen standing outside looking through the dumpster. He pulled out a bag of moldy bread that had been discarded by the soup kitchen staff the previous day. 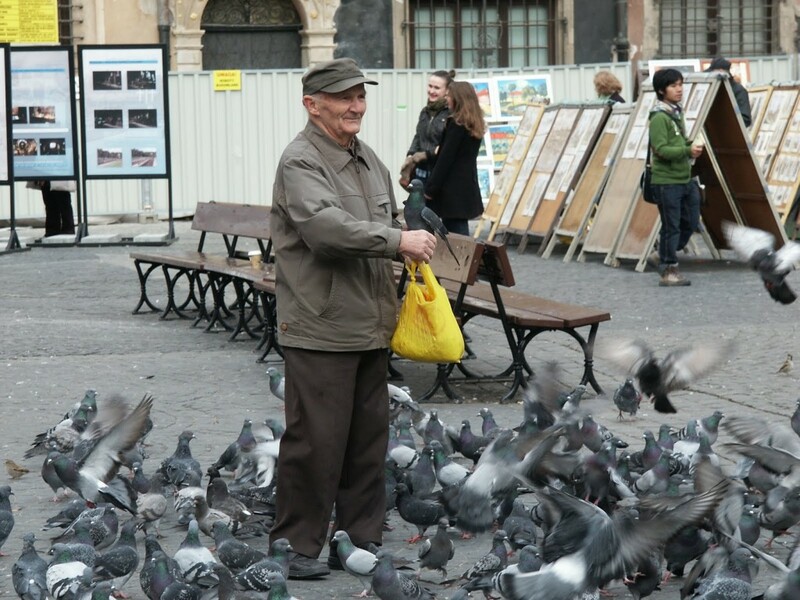 The man opened the bag and started to feed the birds. 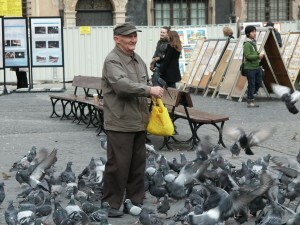 Here was a man who had nothing for himself, much less to give away, yet his concern that day was for the birds. Even though they were birds, he put their comfort and well-being above his own. In this one moment, it became clear what an amazing effect one human being can have on another. Meanwhile, on the other side of town, my group was at a nursing home, beating the summer heat with an ice cream party. After delivering bowls of ice cream to each resident, I sat down next to a lady, who was about 85 years old and wheelchair bound. After just a few seconds, my own bowl lay off to the side, forgotten, as I observed the lady beside me. I was watching her hold her spoon. A simple thing, really, something we all do every day. But all of a sudden, she dropped it. She tried again, picking it up from the table, only to have it slip from her fingers again…and then a third time. Finally, she looked at me, a little embarrassed, and told me, “I think you are going to have to feed me.” Although she was nervous at first, she grew more and more relaxed with each spoonful of ice cream I fed her, eagerly enjoying every last drop, and having fun at the party as well. As I pushed her back to her room when we were finished, I came to recognize that I was able to take something light and fun, like an ice cream party, and serve another, helping her enjoy it as well. Now let’s fast forward a year. Today’s dress down collection is devoted to supporting victims of a natural disaster that wreaked havoc in Haiti, but last October 2012 a disaster hit us all much closer to home. Superstorm Sandy affected millions of people across the northeast, and months later New York was still recovering from its damaging effects. That is why this year’s (2013) Summer Assembly was dedicated to serving those affected by the storm. One group visited sites of wreckage on Long Island where, even in the 100 degree weather, hazmat suits, hard hats, and gloves were all necessities for the Lasallian volunteers. Despite our discomfort, it was completely worth the heat and exhaustion to see the grateful looks on the faces of those who had struggled for almost a year as a result of the storm. The weeks spent at Lasallian Youth Summer Assemblies not only grant us the opportunity to learn from other Lasallians, but also, and more importantly, to serve those who are most in need in our communities. O Divine Master, grant that I may not so much seek to be consoled as to console; to be understood as to understand; to be loved as to love. For it is in giving that we receive; it is in pardoning that we are pardoned; and it is in dying that we are born to eternal life. Afternoon reflection: Today you came to school to learn something new. How will you use what you’ve learned to serve others when you leave? During Catholic Schools Week, we at La Salle Academy celebrate Founder’s Day and honor our teachers. 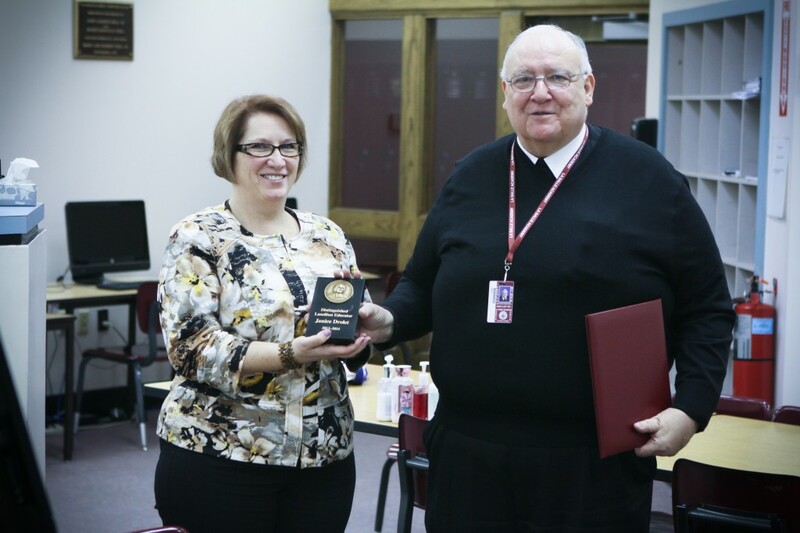 In particular we honor today, Wednesday, January 30th, La Salle Academy’s Distinguished Lasallian Educator for 2013-2014. The following prayer was offered on the Public Address System at the start of the day. 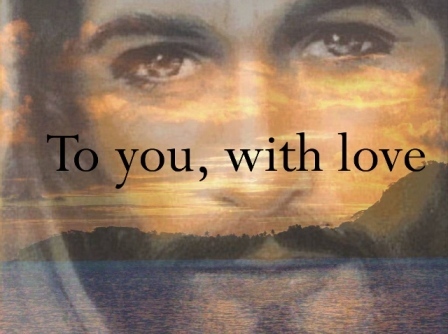 Let us remember that we are in the holy presence of a loving God…. Chances are if I were to ask you to think of some of your best teachers, my guess is that you would call to mind names of men and women of tremendous patience. Great teachers tend to be patient people because they can’t and don’t give up on their students. They challenge and inspire and nurture, but at the end of the day, they know that what matters most is the relationships they cultivate day in and day out with their students. And those relationships take time to develop. St. John Baptist de La Salle knew this. Many centuries ago, when De La Salle wrote his twelve virtues of a Lasallian teacher, patience was front and center. School administrators and educators have long agreed that year after year, across varying grade levels, demographics, and content areas, students need teachers who notice them and make them feel valued. 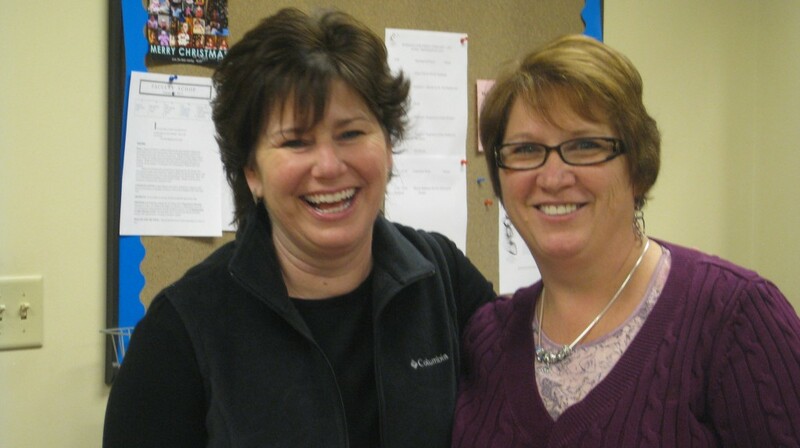 Anyone who knows Mrs. Drolet knows that she can be found greeting students at the door of her homeroom, motivating them to give during charity drives, celebrating her colleagues’ milestones and accomplishments with a smile and a hug. In short, Mrs. Drolet lives knowing that these small things really do matter most. Long after students graduate, what they remember the most is who really loved them. 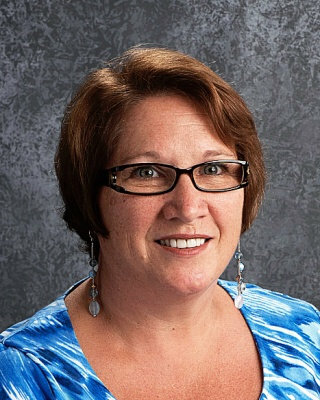 So, on behalf, of our community here at La Salle, I want to thank Mrs. Drolet for her devotion and tenderness to our students. 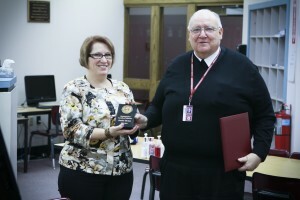 We give thanks for the example and work of Janice Drolet and for all the ways she makes La Salle a more warm and caring place to work and to learn. 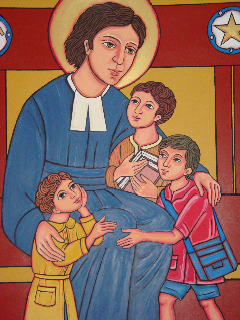 And during this Catholic Schools Week, we celebrate all Lasallian educators everywhere who give of their time, talent, and treasure to minister to young people. In all that we say and do today, help us to be more patient, kind, tender, and generous. Question for afternoon reflection: Amid the commitments of this day, how have I tried to be a more patient, kind, and generous person? During Catholic Schools Week various Lasallians have been invited to offer prayer for the school community on the Public Address system on the theme of the week: “Enter to Learn–Leave to Serve.” On Tuesday morning, 28 January, an alumna offered the prayer. I’d like to take a moment to introduce myself. My name is Karen Clements, but many teachers here know me as Karen Carty. I am a member of the La Salle Academy graduating class of 2003. It’s hard to believe that just 11 years ago, I was sitting in the same seats you sit in today. Like you, I benefited from receiving the top notch Catholic high school education that La Salle Academy has to offer. As you know, La Salle individually challenges its students to succeed academically, athletically, and artistically. But more importantly, La Salle allows students to develop personally, emotionally, and spiritually. Through the three Lasallian pillars of faith, community, and service, students at La Salle develop more than just a sense of pride for their school. 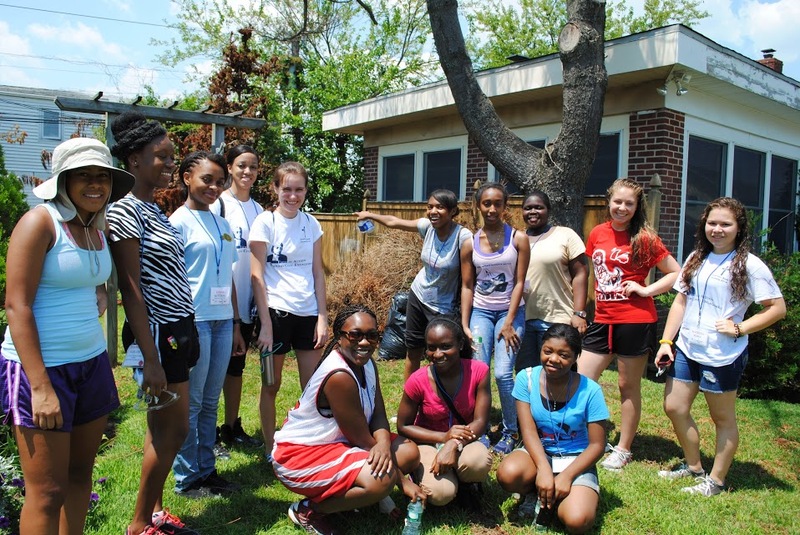 They develop an identity… a Lasallian identity. La Salle has played a major role in shaping me into the woman I am today. 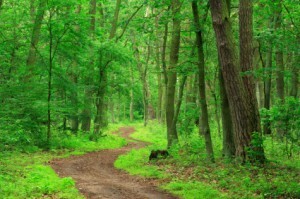 It has led me on a journey of unexpected events and has helped me to discover who I am and why I am here. After graduating from La Salle, I went on to study education at Temple University in Philadelphia. Despite the fact that I was no longer attending a Lasallian school, I carried the values I learned at La Salle with me. La Salle helped me to identify a sense of responsibility in helping the poor. I discovered that I could best accomplish this through education. I was determined to dedicate my life to providing kids from challenging circumstances with a quality education. Now, I could have accomplished this goal anywhere, but God works in mysterious ways. Just before graduating from Temple University with a bachelors in Elementary and Special Education, I received an unexpected phone call from my brother, Mark Carty, whom many of you may know. He told me that his coworker, Ms. Elissa Cerros, who also happened to be one of my former teachers, explained to him that there was a 5th grade teacher position open at San Miguel School, which I’m sure most of you know is also a Lasallian school. Ms. Cerros told Mr. Carty that I should apply. I was hesitant to fly back home to Providence, right before graduation, for an interview. However, I was curious to find out more about this Lasallian school, which at that time, I knew very little about. Now if any of you have ever been to San Miguel, you know exactly what I experienced when I walked through those doors. To my surprise, 64 fifth through eighth grade boys walked right up to me, looked me in the eye, shook my hand, and welcomed me into their school. 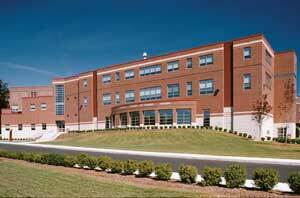 This was no ordinary school. This was a Lasallian school. 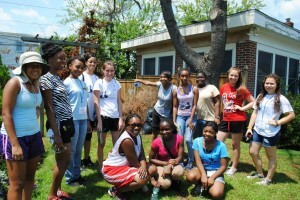 I felt the same sense of respect for others and community that I experienced as a student at La Salle Academy. I was hooked. 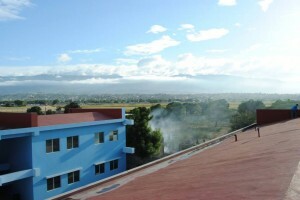 I was hired as the fifth grade teacher at San Miguel School and have been working there now for seven years. I am proud to say that I am not just a teacher. I am a Lasallian teacher. Over the years I’ve discovered that being Lasallian doesn’t end once you graduate from La Salle Academy. Being Lasallian is a way of life. I consider myself a life-long Lasallian. 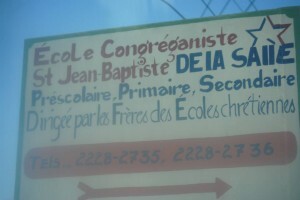 I may have entered the doors of La Salle in 1999 to learn, but I left in 2003 to serve. Our founder, Saint John Baptist De La Salle, once said, “God led me in an imperceptible way and over a long period of time so that one commitment led to another in a way that I did not foresee in the beginning.” I believe that I have found my purpose in life. Every step on my Lasallian journey led me to the next. It led me to a deeper commitment to Lasallian education and a deeper understanding of the Lasallian mission. As Lasallians, we are here “to do God’s work”. 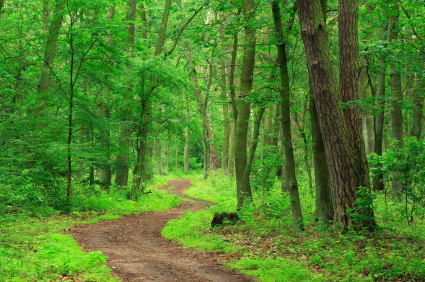 Each of our Lasallian journeys may look different, but we must be open to the unexpected ways in which God is knocking at our door. Let us pray (in the words of Brother Nicholas Hutchinson, FSC). Your presence is interwoven throughout each day of our lives. touch our hearts and open our eyes that we may recognize you walking beside us. As well as in the busyness of our lives each day. 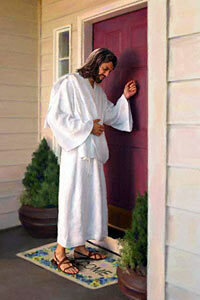 To where we shall see our Creator, face to face. This year our theme is “Enter to Learn, Leave to Serve,” a theme that calls to mind our Lasallian heritage of service to the poor. We will be celebrating this theme with prayers and activities throughout the week. Monday: Ed Sirois, Department Chair of Religious Studies. Ed has been teaching here for over 40 years. He has created a video around the parable of the talents, with pictures and the stories of our graduates who have done service since they have left La Salle. Tuesday: Karen Carty Clements, Class of 2003 will be offering prayer on her journey from La Salle Academy to teaching at San Miguel. Friday: Three of our senior students will pray about their experience at the Lasallian Youth Summer Assembly. Wednesday: Hypnotist Frank Santos Junior in the Auditorium at 7pm! Come and join students and faculty for this delightful performance and possibly get hypnotized! In just over 2 and one half years after the disastrous earthquake in Haiti, the doors of the St. John Baptist de La Salle School opened in October 2012 as the teachers welcomed grades K-2. 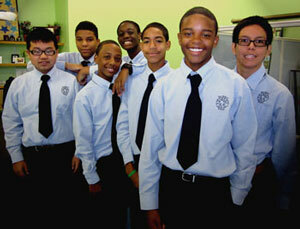 For the 2013-14 school year, enrollment has more than doubled to 200 students and three grades have been added. Many of the students are from a nearby orphanage because their parents either died in the earthquake or are homeless; some of the students are HIV positive. The plan is to continue adding a grade each year, as well as providing a Mother-Child Health Center. This is a Lasallian school–La Salle Academy’s brother school! $200. 00 supports a student’s tuition for a year. 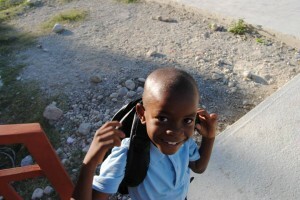 $75.00 provides a student his/her uniform and educational supplies for a year. 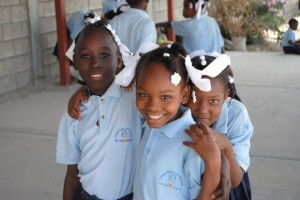 We can help next Friday (January 31st) through our Dress-down Day designated as Hands Out for Haiti Collection. A minimal donation of $5.00 is asked for the Dress-down Day. 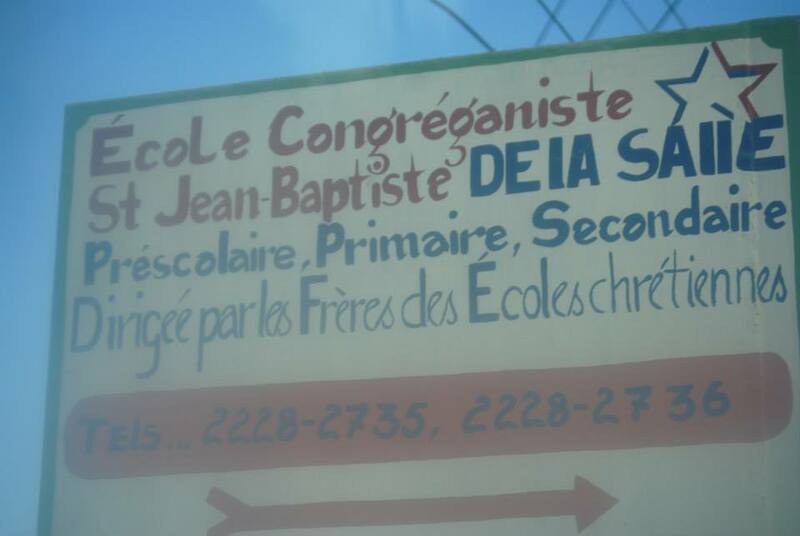 $11,000 would allow us to provide tuition, uniforms and school supplies for 40 De La Salle School students!! This truly is a story of hope rising from the rubble of despair. Let us pause and remember we are in the holy presence of God. 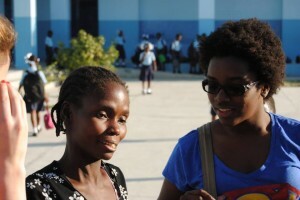 During spring break of my senior year in college, I went to Haiti on a service trip with some of my classmates. One day, while we were in the capitol city of Port-au-Prince, we spent the afternoon at an orphanage run by the Missionaries of Charity. There were at least fifty children living at the home and only three or four Sisters, who were so busy with washing, cooking, cleaning, and changing the children that there was hardly time to teach them, let alone play with them. So when the eight of us walked in, the children pounced. For the next two hours we played tag and hide-n-seek, gave piggyback rides and served as human jungle gyms. It was easy for us to feel good about ourselves for all the smiles and laughter – to feel as though we were providing a valuable service and making a difference in those children’s lives. Thinking back on that day, however, doesn’t leave me feeling very good. It leaves me feeling small and powerless. What I remember most from that day was not the joy of the children or the generosity and love of the Sisters. I remember leaving, because as we walked out the front door we passed a small group of women, maybe four or five, who were lined up at a side door, each holding a small child. And as we piled in and slowly pulled away, I remember seeing the woman at the front of the line pass her child through the door to a Sister and turn to walk away, tears in her eyes. That was fourteen years ago. 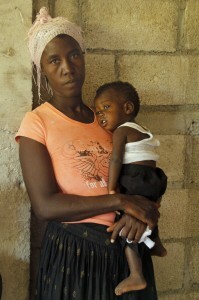 Haiti was already the poorest country in the west – a place with high unemployment, high illiteracy, and a high child mortality rate, all the result of a long and sad history of colonialism followed by corrupt dictatorships, a nation isolated from its neighbors because of the ignorance of racism. It was already a place where a young mother could be so desperate that she would pass her baby off to a Sister in hopes that the baby’s future may be brighter. 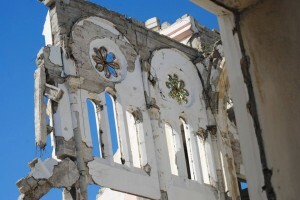 Then, on January 12, 2010, at 4:53pm local time, Haiti was struck by a magnitude-7.0 earthquake. Brother Dennis Malloy, the Brother Visitor for the District of Eastern North America wrote a letter recently to all the schools and agencies in our District: The magnitude 7.0 earthquake that struck Haiti on January 12, 2010 significantly deepened existing challenges and created massive reconstruction needs for a country that was already the poorest in our Hemisphere. In response to this need, the Institute called for a worldwide collection that resulted in the initiation of an educational ministry that continues to develop. 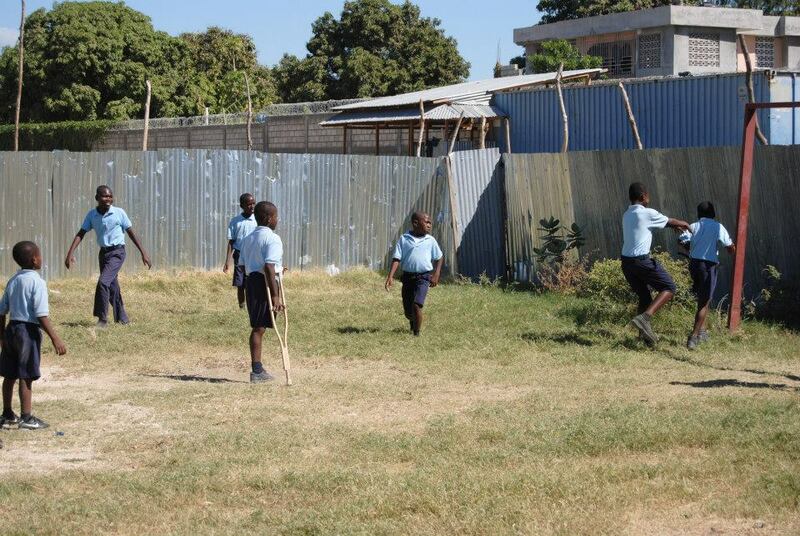 Such a school is not an alternative but creates the opportunity for an education where there would otherwise be none. Opening October 2012 with one hundred students, the school has now doubled in size and serves over 200 youngsters from pre-K to 5th grade. 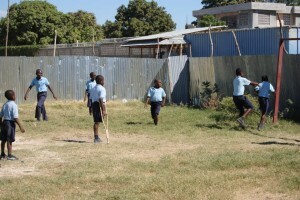 Many of the children are from a nearby orphanage and several are HIV positive. Each year an additional grade will be added. It is envisioned that a vocational component will be added for the upper school years, and ground was broken this past June for a Mother-Child health and wellness center largely funded by the District of South Mexico. To commemorate the fourth anniversary of the earthquake, to remember the lives lost and the damage done, but also to celebrate the coming together of people of good will (including the Lasallian family) to contribute time and talent to Haiti’s resurrection, Brother Dennis has called on all schools in our district to participate in a week of prayer and solidarity for the people of Haiti. 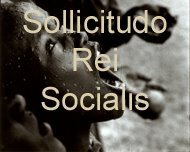 In his encyclical Sollicitudo rei Socialis, or On Social Concern, Pope John Paul II said that “Solidarity is not a feeling of vague compassion or shallow distress at the misfortunes of so many people, both near and far. On the contrary, it is a firm and persevering determination to commit oneself to the common good; that is to say, to the good of all and of each individual, because we are all really responsible for all.” So during this, our Haiti Solidarity Week, let us rise above mere feelings of compassion or distress and commit ourselves seriously to the idea that we are responsible for lifting up our brothers and sisters in Haiti. Heavenly Father, we remember in a special way this week the nation of Haiti, the hardships the country and its people have experienced, the lives lost, and the continued struggle to rebuild. 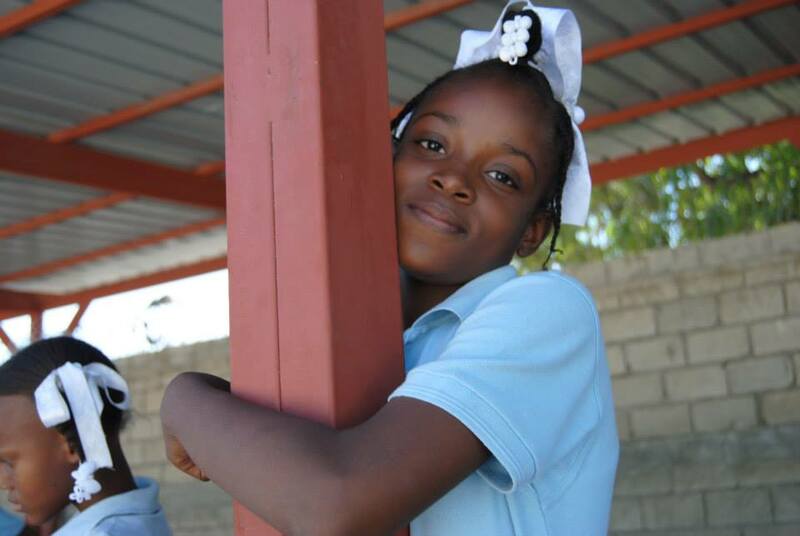 We ask that you continue to bless Haiti and its people with strength to move forward, faith in your abiding presence, love of one another, and hope in your kingdom come. And we ask that you bless us so that we can come to know what it really means to be in solidarity with the poor of our world, and in-so-doing, grow closer to you, who are the God of the poor. 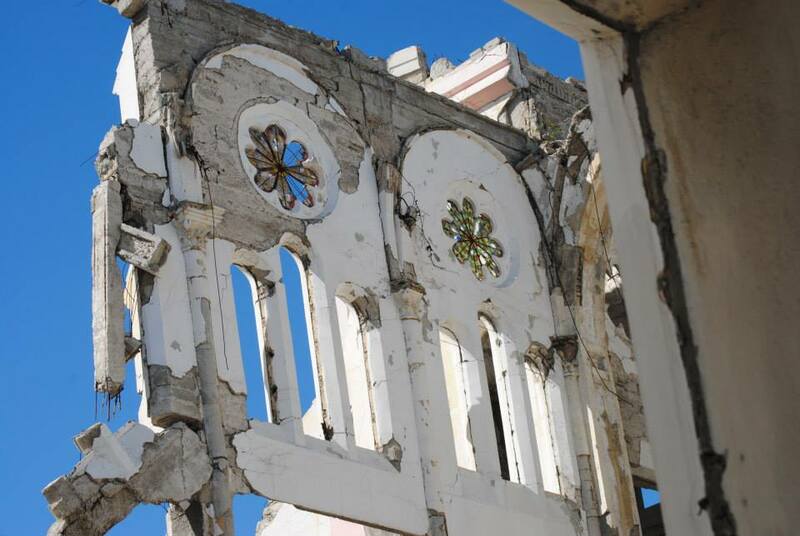 Brother Dennis wrote in his letter: The magnitude 7.0 earthquake that struck Haiti on January 12, 2010 significantly deepened existing challenges and created massive reconstruction needs for a country that was already the poorest in our Hemisphere. In response to this need, the Institute called for a worldwide collection (to which La Salle Academy contributed funds) that resulted in the initiation of an educational ministry that continues to develop. Such a school is not an alternative but creates the opportunity for an education where there would otherwise be none. Consistent with our District Vision and Action Plan for Ministry to partner with Lasallian ministries overseas, the District has already sponsored delegations from La Salle University and Manhattan College to look at ways in which their expertise in education, engineering, public health, and nursing can help to build up this developing ministry. 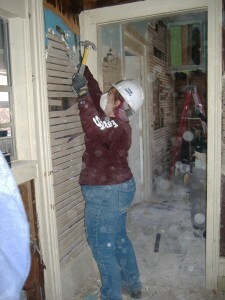 Mission trips for students are in the planning stages for the future. The needs for which we are asking your support at this time are to insure that these youngsters have a meal at school, basic classroom supplies, and school uniforms such as you can see in this video. Thank you for all that you do and for your consideration of this opportunity to make a real difference for our very poorest neighbors, and to have a stake in the future of their school! How could one’s heart not be touched by the smiles of these children for whom life now holds some promise! The ministry of Saint John Baptist de La Salle and his Lasallian followers was and is to serve as God’s instruments to lead young people to fullness of life. These young people in this newest Lasallian ministry in Haiti have a taste of that fullness of life. If You Will Not Do It For Us, Who Will? I would like to conclude with this sentence [question noted above] from a boy from Scampia, the wonderful ministry that we Brothers have in Naples, in a neighborhood where drugs are a huge problem…. The word “children” does not appear in the Testament of our Founder [Saint John Baptist de La Salle], but it is certainly understood in each line he wrote. They were the reason for his life and they continue to be the reason for ours. We came into being for children and young people, especially the poor, the vulnerable, the least loved and cared for. I think about Carlos and Jimena, those small siblings who survived the massacre of their family in Villa Canales, Guatemala. 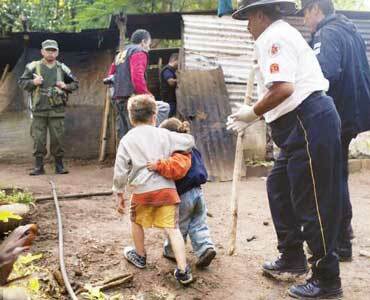 The photo of the 6-year old child embracing and protecting his little sister was published widely in the world press. At six years of age he acted as the older, more responsible person and the officials at the “Our Little Brothers and Sisters” welfare house said that, during the first week after the massacre, the small siblings were seen always embracing one another in silence. How many children like them have had to learn to be responsible adults at such an early age? I think about Malala, the extraordinary little girl from Pakistan, who was shot at the age of 14 for the crime of defending the right of girls to study. In her talk at the United Nations in July she said: Let us pick up our books and pens because they are our most powerful weapons. One book and one pen can change the world. As she was sharing her feelings of forgiveness toward those who had attacked her, she added: “This is the compassion that I have learned from Mohammad, the legacy I learned from Martin Luther King and from Nelson Mandela, the philosophy of non-violence I learned from Gandhi and Mother Teresa, the forgiveness I learned from my father and my mother.” We cannot forget today the 57 million unschooled children for whom Malala was at the point of giving her life. What about us? What can we do? 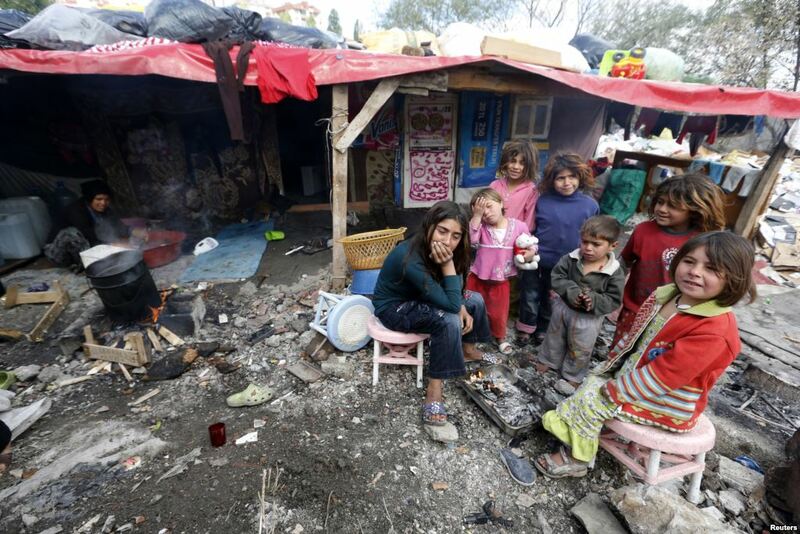 I think about the children in Syria who are refugees in neighboring countries, whose number United Nations humanitarian agencies affirm is already up to one million, not to mention the 7,000 children who died during the armed conflict. Speaking about this, Anthony Lake, the Executive Director of UNICEF, said: It is not just a number. These are children who were torn away from their homes, perhaps even from their families, facing horrors that only now we are beginning to understand. It is not easy to imagine the physical harm, the fear, trauma and suffering endured by these children and the dangers that are lying in wait for them such as child labor, forced marriage, organ trafficking and sexual exploitation. Given these realities, we cannot remain indifferent. These [vignettes] should profoundly touch our hearts and awaken not only our most noble feelings, but also our evangelical creativity to respond, as our Founder dreamed, to the needs of children and young people who are far from salvation. If we will not do it for the young people who are most needy, most vulnerable, unloved and uncared for, who will? We are relentlessly bombarded by stuff. Stuff is all around us. We have so much random stuff in our world. We have stuff to make us happy. We have stuff to keep us happy. Some of our stuff even demands that we get more stuff to make the original stuff even better. What often gets lost is that it is not the stuff that makes us happy. It is how we use the stuff that makes it either a positive or negative influence in our lives. Pope Francis lately has been widely criticized for posing the question: Why do so few people have so much stuff and so many have so little? As I see it, there is nothing intrinsically wrong with having a lot of stuff. It is when the stuff owns you that it becomes a real problem. A good example of what to do with a lot of stuff can be found with Paul Newman. He was a man with a lot and could have spent a lifetime gathering even more. 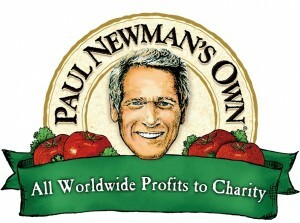 Yet when someone said his salad dressing was good and he should sell it, he thought that would be a good idea. So, instead of using the profits that were generated from his salad dressing for his personal gain he gave them away to various charitable organizations. 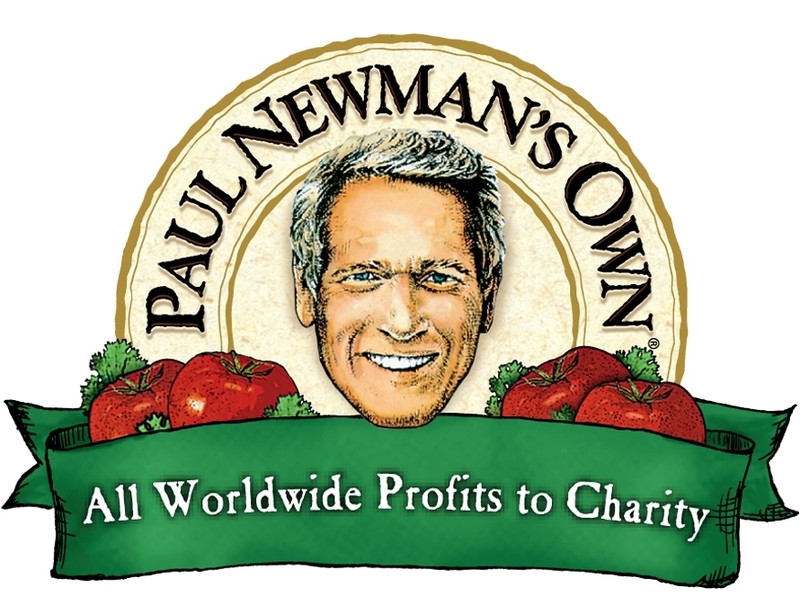 The salad dressing was only the beginning of the stuff that one can buy under the Newman’s Own brand and millions of dollars have been given to many worthy charities. 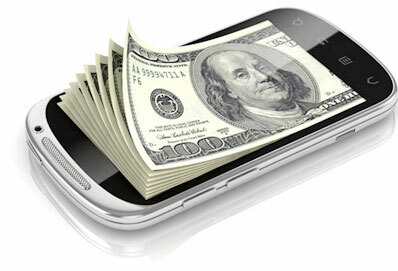 The brand continues to generate monies for others even past his death. When stuff gets in the way and takes possession of us it becomes a problem. This happens in large and small ways in our world every day. This happens on the small level when we let something like our cell phone take our attention from the present and distract us from gaining the knowledge that we can use to build authentic learning about our world and others. This can happen on a large level when we put the acquisition of stuff over God’s call to love one another as God has loved us. When we focus on “out of control” materialism we can lose our humanity. However, when we understand that everything comes from God and that God’s Love is all the stuff we need, we can begin to understand that the only stuff we will never run out of is God’s Love. Let us pray: Loving God, let us see that your plan for us is more meaningful than the stuff in our lives. Let us see that giving with your love is the true purpose of the gifts you have given us.